Carpet cleaning is most commonly associated with the regular rounds of vacuuming you do in your home. However, at The Top Carpet Cleaning we believe that is not the case. Vacuuming is the most basic for of cleaning your carpets, but it is not all that effective. You can only expect to remove the surface dust when vacuuming and that is just not thorough enough of sanitation. 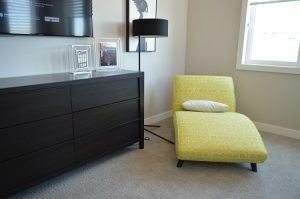 What we offer is a professional approach to carpet with powerful gear and methods that have stood the test of time. Thanks to our machinery, we can get your carpets looking like you just bought them! Our experts provide professional carpet cleaning in Kilburn and the surrounding areas. Fast and efficient booking process. You will hardly find another carpet cleaning company as diligent and focused on the job as ours. We know just how to clean any number of carpets properly, regardless of their type. With that in mind, you really needn’t fear anything when you book with our company. The Top Carpet Cleaning is your ticket to perfectly sanitised carpets. 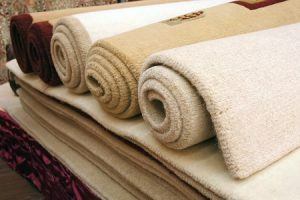 We will utilise the advantages of the steam cleaning method so that the dust from deep within the carpeting is removed. The result will be amazing – you will hardly believe your eyes when you see just how refreshed the room feels once our carpet cleaning has concluded. Give it a try by calling 020 3322 8944 and you won’t regret it. The Top Carpet Cleaning is a company that puts great emphasis on the safety of your carpets. You can expect our carpet cleaning experts to always work carefully and employ methods that work best for the carpet you have. That is how we know our solutions will provide you with the desired effect without putting expensive items at risk. There is hardly any other such carpet cleaning service in Kilburn that is as efficient and safe as ours. You can take advantage today, by calling 020 3322 8944 and booking our service. You will know that you have made the right call in no time. Kilburn is one of the areas of north-west London. At the heart of the area is Kilburn High Road, which was used by the Romans in ancient times. Nowadays, this is a very busy thoroughfare, which sits at the boundary of Camden and Brent. On this road, there are two major railway stations that serve the area: Brondesbury (London Overground with trains on the North London line) and Kilburn High Road (London Overground on the Watford DC line). Further west is the Kilburn Park station on the Bakerloo line. The Gothic spire of St Augustine makes the church one of the easily notable buildings in the area. A popular venue in Kilburn is the Tricycle Theatre, which now includes a cinema and a gallery. Gaumont State Cinema is a notable Grade II listed Art Deco style landmark. Take advantage of our efficient and affordable carpet cleaning in Kilburn. Call our professional cleaning company on 020 3322 8944.